I’m sick and not working, so maybe I’ll play instead–or at least read something fun! Hope everyone in your house gets well soon, Liz (and those aren’t, don’t get sick). My household has been healthy so far….fingers crossed. Hope yours recovers soon! Miss you Liz! How is my buddy doing? He’s very happy since he just polished off the leftover chicken soup! : ) Would love to show him off to you sometime, Cathy — he’s learned lots of tricks! Your comment on balance being thrown off by illness is so true. I used to wonder how people managed with a chronically sick child. Hope he feels better soon and you meet your deadlines. 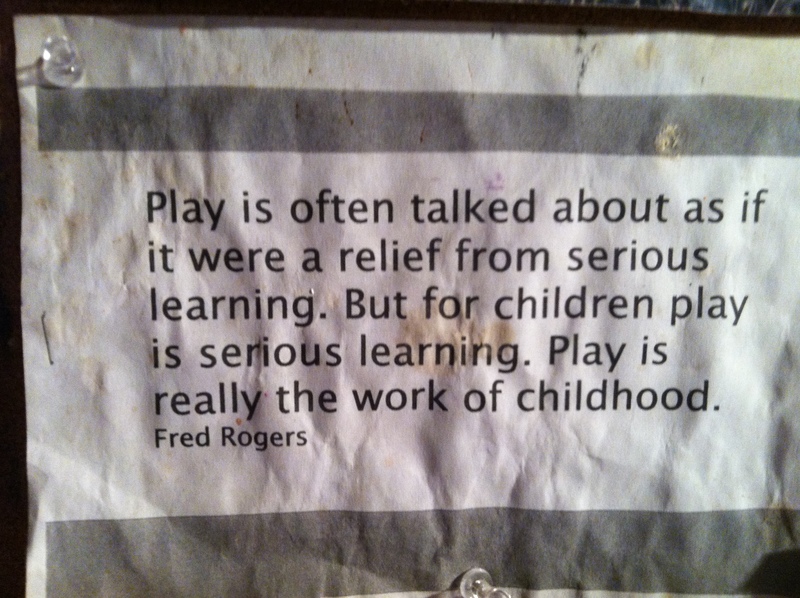 WRT play, I couldn’t agree more, which is why the anti-recess movement baffles me. Oh Jan, don’t get my started on recess. Coming from a preschool where the 60+ year-old director was outside every day no matter what the weather with the three-to-five year olds, I naively assumed all administrators were as dedicated. Huge mistake.